1. A top official in the Brown administration has admitted that the governor’s controversial plan to build two giant water tunnels in the Sacramento area won’t help save the collapsing Sacramento-San Joaquin River Delta, the LA Times$ reports. Congressional Democrats, who strongly question the multi-billion-dollar tunnel plan, have responded to the comments made by Jerry Meral, deputy director of the state Natural Resources Agency, by demanding that he resign. Meral’s comments also directly contradict claims made by Brown that his plan would help save the Delta. 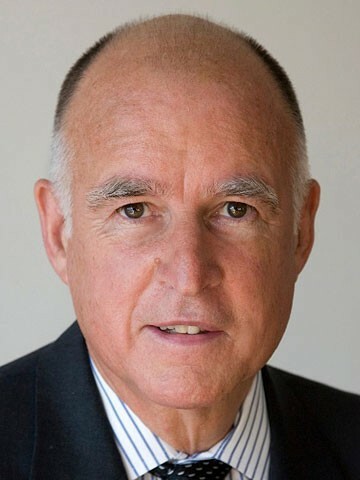 Many environmentalists believe the real reason Brown wants the tunnels is to send more freshwater to Southern California. 2. Brown, meanwhile, is pushing federal officials to fast-track the water tunnel plan, despite concerns voiced by the US Fish and Wildlife Service that the proposal will further harm Delta fisheries, the SacBee$ reports. The tunnels, which are to be 35 miles long and 40 feet in diameter, would take huge amounts of freshwater out of the Sacramento River and send it south before the river reaches the Delta, raising questions as to whether the largest estuary on the West Coast would become too salty. 3. AC Transit voted to abandon a plan to raise bus fares, citing an uptick in the economy, which has increased revenues for the agency, the CoCo Times reports. AC Transit had planned to boost fares from $2.10 to $2.25, and now will consider lowering the fare to $2.00. 4. Some 270 law enforcement officers conducted several raids in Oakland yesterday, but the massive operation only resulted in five arrests and the confiscation of just four firearms, the Chron$ reports. About 150 FBI agents and 120 police officers took part in the raids, which targeted a West Oakland gang. 5. And a joint investigation by the Berkeley-based Center for Investigative Reporting and NBC Bay Area uncovered strong evidence that Bank of America and some of its business partners have been engaging in fraudulent foreclosure practices in apparent effort to oust people from their homes as part of a complicated, money-making scheme.